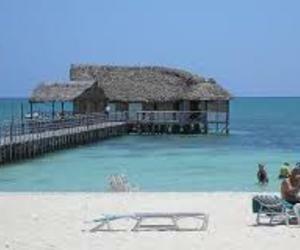 Frenchman Philippe Hiller monitored through Facebook the process of recovery of Club Villaggio Bravo Caracol hotel, at Santa Lucia beach in the province of Camagüey, after the passage of Hurricane Irma over this Cuban north coast territory. As repeating customer of that facility, where he had spent his vacation since last July, he was happy to be present in the reopening last Friday along with more than 60 tourists from five nationalities. It was a good surprise to see that everything is as before, and I only miss some trees, because otherwise, it does not seem like a cyclone has passed, Hiller told ACN. According to Santiago Perez, hotel manager, they took all measures to minimize damages arising from Irma, that´s why they were the first hotel facility in restart providing service after the passage of the hurricane. The Club Amigo Mayanabo and the Roc Santa Lucia are expected to reopen today, while the Brisas Santa Lucia, where it lays around 35 percent of the tourist housing capacity, will be ready later this week, said Julio del Toro, executive of Cubanacan hotel chain in Camagüey province. Along with the work of recovery after the passage of Irma, the workers of this pole are already in preparation for the high season, which this year will begin early, in the first days of November, with the arrival of the first customers from the Canadian tour operator Nolitour.